Akin I admire your idealism. 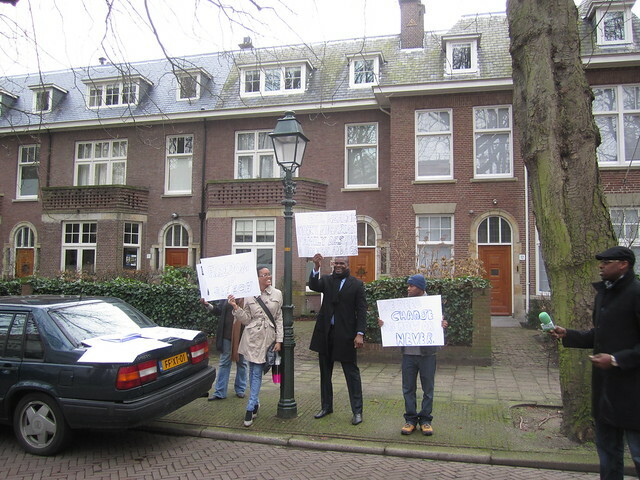 The attitude you commented on by the Nigerian diplomatic staff is no different from that of the Nigerian diplomatic staff in Paris, who hid behind closed doors when men gathered to kiss outside the Nigerian embassy to protest against the anti-homosexual bill that was passed some years ago. Be thankful they did not send out thugs to chase you away. Personally, I'm not convinced about this OccupyNigeria scheme. It hasn't worked in any Western democracy where reason prevails, yet alone the "democracy" that exists in Nigeria, where reason has been put into a deep coma. Nevertheless, I wish you well with it. I like your response to such narrow-minded and selfish questions. Running away from the north is no answer, the problem will only spread to the south. Besides, what happens to northern Christians (there are many of them), where are they supposed to go? If people were more concerned with what happened to others in Nigeria, the country wouldn't be where it is now. Boko Haram would have been extinguished in it's infancy. Instead everyone looked the other way (hoping Boko Haram willl somehow simply go away) and Boko Haram have now grown in size and strength and is now a national menace. You're a man with good intentions.